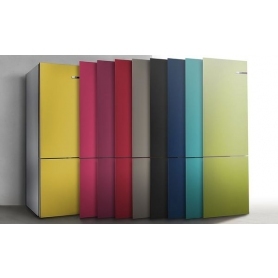 The Bosch Serie 4 Vario Style KGN36IJ3AG 60/40 Fridge Freezer can easily be restyled at any time using exchangeable colour door fronts (sold separately). Using a clever combination of invisible hooks and magnets, you can simply clip the doors of your choice onto the appliance and change them with ease. 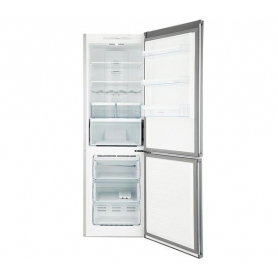 To keep your food fresher for longer, the refrigerator includes VitaFresh cooling technology. Within the VitaFresh section there are two air humidity zones - a dry section for storing meats and cheese while the other creates a moist environment for fruit and vegetables to help them retain their flavour and freshness. There is also a fan-assisted MultiAirflow System to ensure an even temperature throughout the appliance, while retractable EasyAccess shelves make it simple to load your shopping and remove the items you want. The Serie 4 KGN36IJ3AG draws warmth out of the freezer, automatically defrosting it from time to time to save you time and energy. This also helps to preserve storage space, ensuring that you can store more of the frozen food you love. 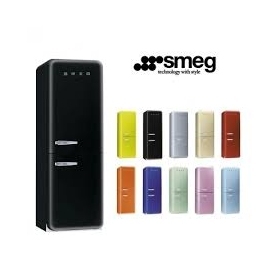 Ideal for when you've just added your weekly shopping, the SuperFreezing and SuperCooling functions rapidly lower the temperature inside the appliance before returning to normal once the required temperature is achieved.